Webcams are cameras that are mounted to the walls in the different rooms of the day care. These cameras provide a live stream of the rooms. Parents are given a password that can be entered on the preschool’s website. The password will give them access to the day care’s webcam stream. Preschool Webcam helps parents feel confident when they drop their child off. By enabling parents to view live images of their child at play via the internet from wherever they are, they can see for themselves that their child is fine and the preschool is doing a fantastic job. Preschool webcams give parents peace of mind and allow them to be more involved in their children’s daily activities. A modern extension of the ‘open door policy’ preschool webcam is popular with parents and teaching staff as it provides an easy and effective way of offering reassurance and building trust. Any preschool that offers webcam access shows that they take pride in their services and that they are happy to let parents ‘drop in’ and have a look whenever they like. Building Blocks Play Group is proud to be the only preschool in the Hudson Valley that offers the families of enrolled children high-definition, secured webcam access to our classrooms. 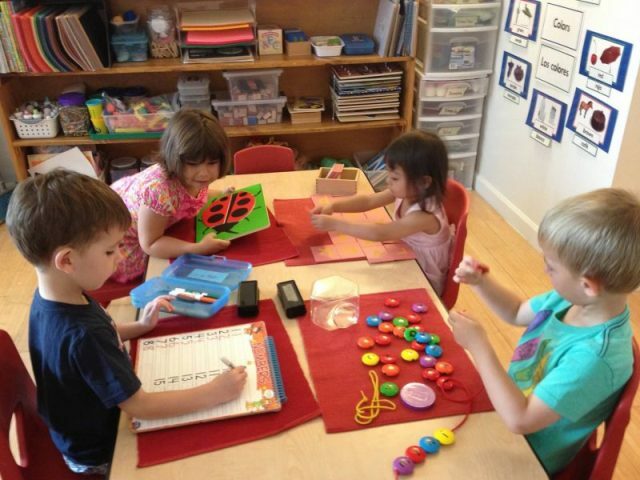 Parents will enjoy watching their precious preschoolers play and learn all day.